January is long behind us, so let's be reeaallly honest…how are you doing with your New Year's resolutions? Have you given up, or are you still going strong? Did you get distracted or sidetracked from your goals? Now is always the best time to re-evaluate and make changes where you need them, whether they be dietary changes or lifestyle changes or organizational changes. You can propel yourself forward and make real progress by evaluating where you've been and what you need to do to make it to your goal. Enter the 2 week challenge. If you've struggled with sticking with your meal plans, or with eating well, or even with eating at home, this challenge is for you. 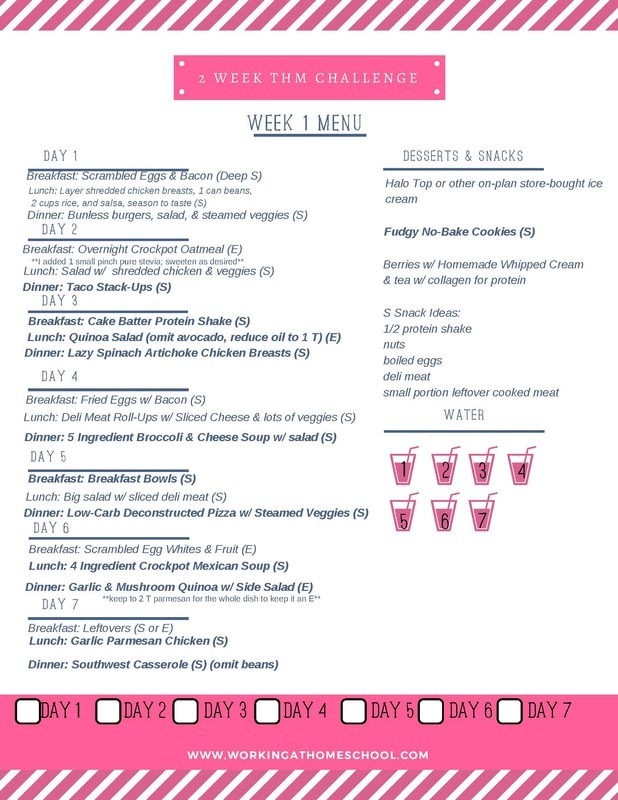 The challenge is for you to eat at home for two weeks (you can use the menu I provide, or use your own), and see what it feels like to eat 100% healthy foods and avoid the restaurants for two weeks. Two weeks is SO doable – you can commit to yourself, and to the rest of us doing this challenge, that you will stick with it. We also have a Facebook Group for extra accountability and extra helpful tips. Sign up below to get started! After you confirm, you’ll get your first email with the menu and shopping list, and I'll send a few other emails to encourage you with extra tips. I’m looking forward to doing this together!